I excitedly received these Smudgepaints and Smoothie Eyeshadow Pencils from Annabelle Cosmetics two weeks ago and I have been using them regularly since. 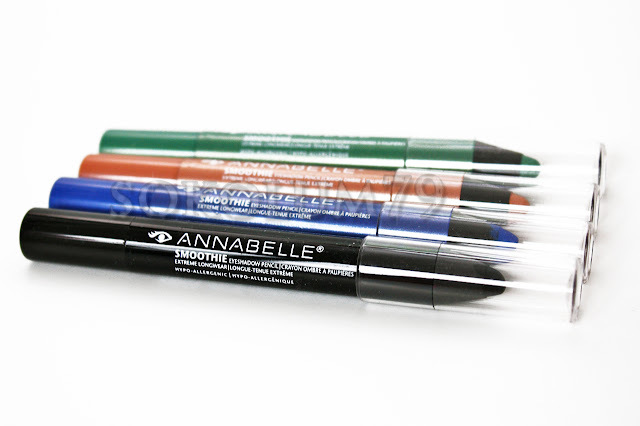 I have been an avid fan of Canadian based Annabelle Cosmetics for years because of their colour selection, availability and affordability. 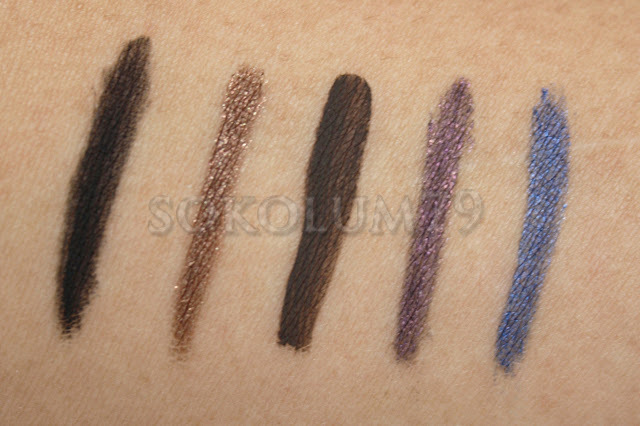 They are one of the few drug store lines, in Canada, that offer bold, edgy cosmetics. They also happen to be a cruetly-free brand (and their parent company Groupe Marcelle). 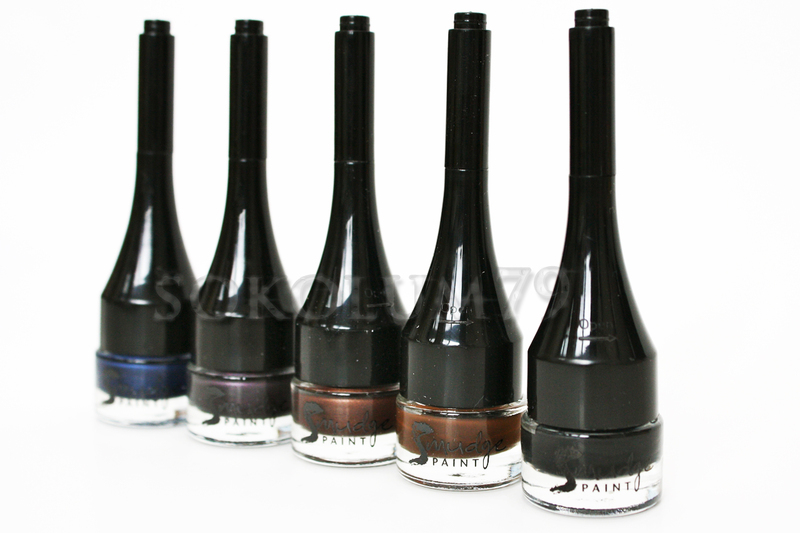 Smudgepaints - I received five of their gel liner/shadows. They are an extremely creamy gel that, after it dries, does not budge. After I swatched the paints, I rubbed the swatches with my finger to see if they would peel/flake off and they didn't budge. When I have worn Tar as a eyeshadow base (with UDPP) it did not crease through out the day. It comes with an interesting little brush built into the lid. 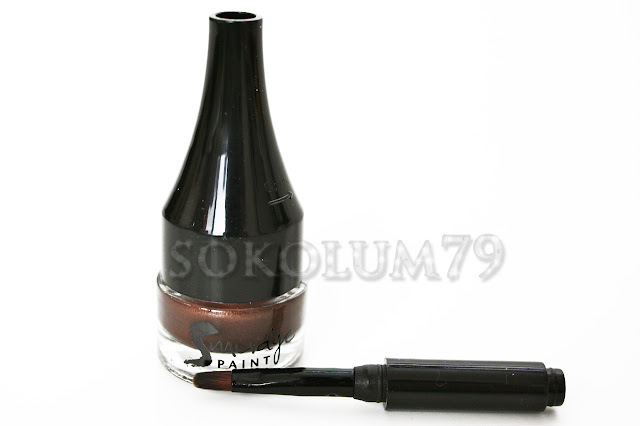 I tried using it to line, but it didn't give an nice clean line so I think it would be better used to smudge the gel. Suggested retail price: $10.95/2g. (Top to Bottom) Absinthe-Minded, Melonade, Blubomb & Licoriche. 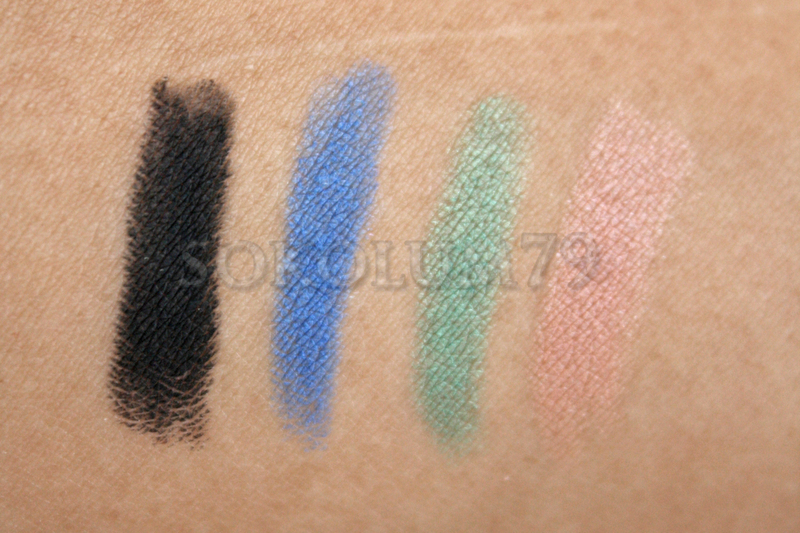 (L to R) Licoriche, Blubomb, Ansinthe-Minded & Melonade.